Too many people make the mistake of ignoring tickets and citations for traffic violations. They fall into the trap of thinking their charges are too minor to be worth fighting, and may even avoid their court appearance altogether. Unfortunately, these “minor” violations can add points to your record, result in lengthy license suspensions, and burden you with expensive fines. If you fail to appear in court, the judge could even issue a warrant for your arrest. 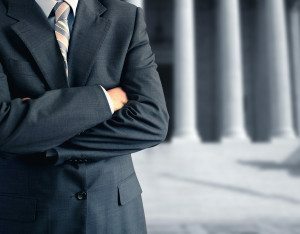 If you’ve received a ticket, you need an experienced attorney on your side. At Sullivan & Galleshaw, our traffic violations attorneys have over 30 years of experience representing the residents of New York City and the surrounding areas. We pride ourselves on creating personalized, aggressive defense strategies for the cases we handle, and offer free, no-obligation consultations to all new clients. To set up your free and private case evaluation, call our law offices today at (800) 730-0135. When you commit a traffic offense, you receive a certain number of “points” on your record, with points increasing as the offense becomes more serious. If you accumulate 11 or more points over the course of an 18-month period, you will be required to attend an hearing called an ALJ hearing, so named for the presiding ALJ or Administrative Law Judge. Depending on the outcome of the ALJ hearing, your license could be suspended or even completely revoked. As you can see by these totals, it can be very easy to reach 11 points before you even realize it. A single violation for texting while driving combined with a single speeding violation could result in the loss or suspension of your driver’s license. 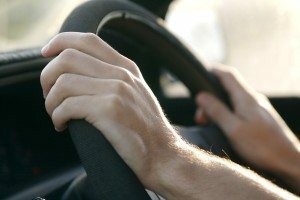 Depending on the nature of the offense, how many offenses were committed, and when the violation occurred, your license could be suspended for anywhere from 60 days to over six months. Your license can also be suspended for failure to pay a fine or otherwise respond to a ticket. It’s important to point out that some of the most common violations on the list above are actually crimes. For example, did you know that reckless driving is a misdemeanor in New York? If you’re found guilty, you could be jailed for up to a month and ordered to pay a fine of $300. The circumstances under which this offense can be charged are very broad. Under NY VAT (Vehicle and Traffic) Law §1212, reckless driving is defined as driving “in a manner which unreasonably interferes with the free and proper use of the public highway, or unreasonably endangers users of the public highway.” This could mean excessive speeding, weaving in and out of lanes, aggressively tailgating other drivers, or driving while intoxicated by drugs or alcohol (DWI). Your insurance carrier and other insurance information. Can a Bench Warrant Be Issued Against Me? It may feel tempting to avoid your court date after you receive a traffic citation. Many people reason that the courts are so busy hearing more serious matters, their traffic case will eventually fall through the cracks and be forgotten. In reality, this is simply not true. On the contrary, if you fail to appear for your court date, the judge can issue a bench warrant for your arrest. Bench warrants are not subject to a statute of limitations, which means they will never expire or vanish. If you are ever pulled over for a routine traffic stop, perhaps for a reason as minor as a broken tail light, the officer will see the warrant and will then be obligated to bring you into custody. If you received a traffic ticket or citation in New York City, call our law offices today at (800) 730-0135.